Superdry women's College hooded sweat dress. 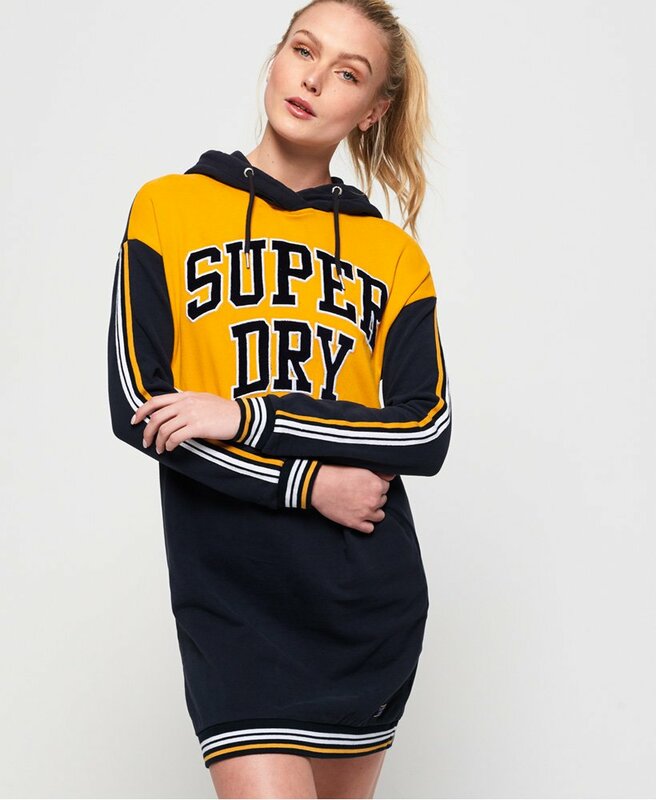 This sweat dress features a drawstring hood, large Superdry logo across the chest, striped detailing down the sleeves and ribbed cuffs and hem. Finished with a Superdry logo badge above the hem.